USB 3.0 4 Port Hub + USB-C™ Cable (USB Type-C™) is rated 1.4 out of 5 by 5. With USB-C set to revolutionize speed and efficiency in personal computing, make the transition to USB-C just as efficient with the Belkin 4-Port USB 3.0 Hub. 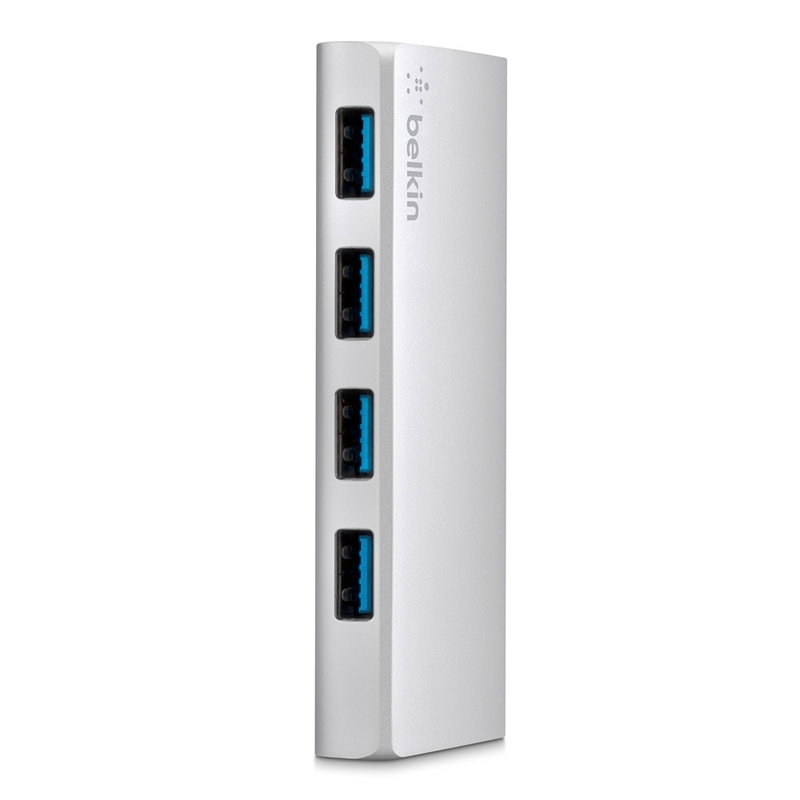 Four powered USB 3.0 ports for your existing peripheral devices connect neatly to your USB-C computer or laptop, via one USB-C cable, delivering fast, effortless connection, while charging and transferring data. 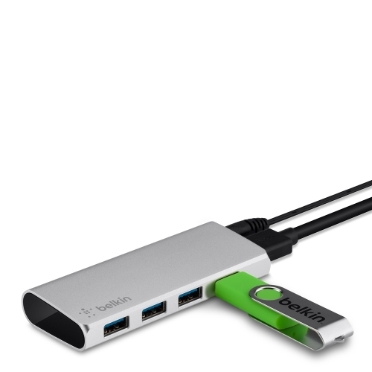 Bring the speed of USB-C to your existing peripheral devices. 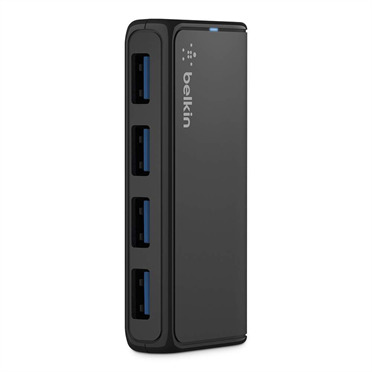 Efficient transfer via USB-C, efficient transition with a USB 3.0 Hub. 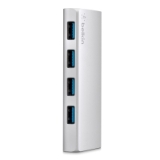 Transition to USB-C easily and rapidly with a USB 3.0 Hub. 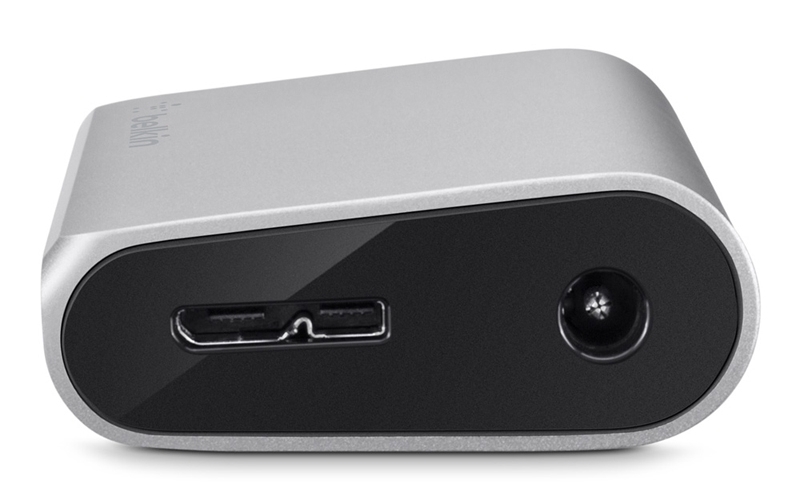 For a transition in-keeping with the efficiency you expect from USB-C.
Introduce your new USB-C enabled device to your existing peripherals. Rated 1 out of 5 by LadyT from No longer works Purchased from an apple store. No longer works. Died too quickly for the price. Nothing will connect or charge at this time. Rated 3 out of 5 by Power Hungry from Insufficient power 900ma output power per port isn't enough to handle many common uses for this device. It won't power my portable drives nor provide timely charging of an iPhone. Rated 1 out of 5 by long Mac user from Very disappointed This adapter connected to a USB-C port (e.g. 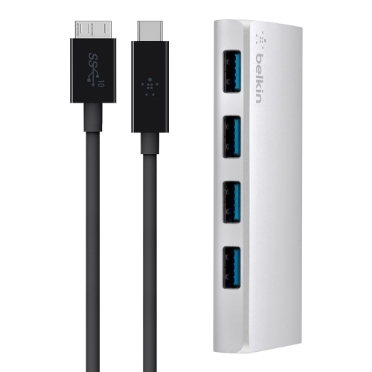 MacBook Pro 2016) will only expose a USB2.0 hub and does interestingly not even connect USB3 devices as USB2; only true USB2 devices work. I tried different power adapters but no difference. 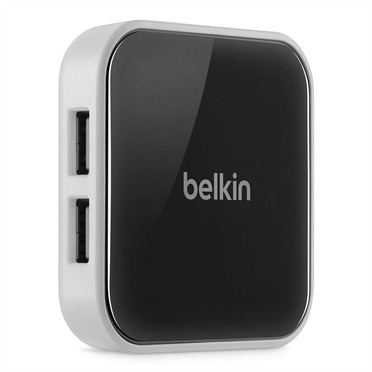 Rated 1 out of 5 by NotBelkinFan from Junk This USB-C/Lightening Bolt connector will NOT stay in the port of the hub. It falls out CONSTANTLY. I have had TWO replacements and they all do the same thing. This is a sorry product and not worth a dime. Rated 1 out of 5 by papadelta from Doesn't charge iPhone. I bought this a few days ago. It is plugged into a power source and my MBA, and although it charges my Bose headset, it won't charge my iPhone 7+. It also won't read one of my backup drives.